Peter wasn't always a coward. In fact, some might argue that he never really was, though the twisted perceptions of time made him so. He, like so many others, was born into a loving, stable household. Sure, there was trouble here and there; the family wasn't exactly well-off financially, and that often meant skipping dinner and going hungry. The hope was there, though. Always the hope of a brighter tomorrow, which is why, when Peter received his letter to Hogwarts, the family was thrilled. The Sorting Hat didn't actually have an easy time with him. From the outset, it could only eliminate Ravenclaw as an option. 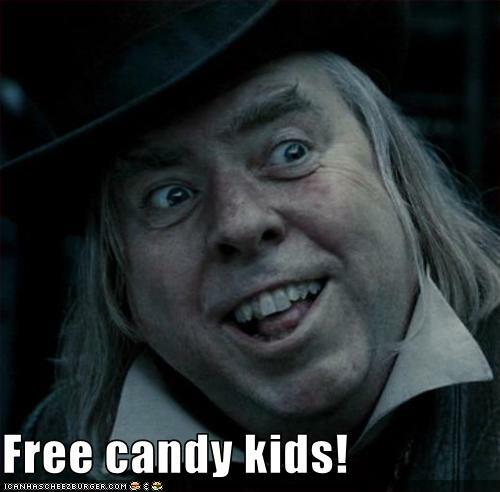 Peter Pettigrew wasn't remarkably intelligent, nor did he have the drive to do well with his studies in the long term. There was the hopeful optimism, though. Hufflepuff? No. Ah, there— At the time, there was the courage. But even that was overshadowed by something greater - the drive to succeed at all costs. Slytherin? There was too much loyalty. The other Slytherins would rip him apart. Perhaps in the right house, those seeds of loyalty and courage could grow, so when it really came down to it, Peter could do the right thing. The best fit was certainly Gryffindor. All these conflicting qualities didn't make Peter the best student ever. He wanted friends, so he sought out the sweet Hufflepuffs at first. The lot of them were too boring, though. Too goody-goody. He made a couple friends in Slytherin, but the longstanding conflict between that house and his own made those friendships difficult to maintain. Finally, searching for both companionship and some semblance of prestige, he gravitated toward a trio of Gryffindor students in his year - James Potter, Sirius Black, and Remus Lupin. It wasn't long at all before Peter started putting on the pounds. After all, he'd never seen so much food before! It was his reasoning that he might as well consume as much as he could as quickly as possible. This made him… Well, for lack of a more polite term, fairly /rotund,/ though the friendship with the other three was solid enough that he always had his buddies to stand by him. The relationship wasn't one-sided, either; In return, those neophyte loyalties that the Sorting Hat had detected came to the fore, and Peter knew beyond the shadow of a doubt that he would do anything for his companions. So when they concluded that Remus' disappearance once a month meant that he was a werewolf, he didn't even hesitate when James and Sirius came up with a plan to help him. He was in. Besides. Turning into an animal? How cool was /THAT/? Despite the viciousness of the werewolf, Remus could easily hang out with his friends on those painful nights. Peter - the smallest of all - was able to get places that the other three couldn't, literally opening new doors for them. Even if it wasn't Peter's exact intention to become a /rat/ - he kind of had to go with what James and Sirius wanted, because he hadn't a clue what he was doing - the form eventually become like home to him, and it came in handy. Thusly, the Marauders (as they called themselves) terrorised the halls of Hogwarts for many, many years. The story could have ended there, except for a few hitches that made things more complicated. First, there was Snape, who was a complete git, and no one liked him much at all. Even people from Severus' own house seemed to avoid him at times, at least from Peter's perception. He was an easy mark for the other three, and even though Peter did feel bad for him at times - after all, Peter had a hard life prior to Hogwarts, too - he felt the need to stick by the three who'd been there for him since the beginning. It was partially this treatment of a fellow student that started leading Peter down another, darker path. Even if he laughed with the rest of them, he saw the cruelty, saw himself in that poor boy, and wondered if humanity really was all about luck of the draw. It could have been him in that position. The roles could have been reversed; what if Snape turned out to be a Gryffindor, and Peter turned out to be the Slytherin whipping boy? It was fear, the beginnings of which would essentially change Peter's life in the years to come. Wondered if the other three took pity on him. Kept him around for his usefulness. It wasn't until his later years at Hogwarts that these feelings started becoming more and more prominant. James, Remus, and Sirius were his friends. They were never cruel to him, but Peter knew they could have been. He spoke to some of his Slytherin friends about these doubts, and they pushed them further, pointing out little tiny things that were inconsequential, but had a huge impact when blown out of proportion. Why didn't they invite him along to Hogsmeade last time? Surely it wasn't because they knew he had to study for his Herbology exam. No! It was because they wanted to exclude him! Were Sirius and James talking about him behind his back? Was Remus planning to eat him come the next full moon? All these things played on his fears, caused them to grow, and soon - even by the time Snape discovered Remus' secret - Peter was becoming more withdrawn. Quieter. And while he maintained his friendship with the other Marauders, it was only for his own protection. He stayed with them solely because it meant not getting the crap kicked out of him. They never suspected his discomfort. Never thought that maybe he'd need some words of encouragement to set him back on the right path. That comfort never came, and by the time they graduated from Hogwarts, Peter was starting to despise the other three, for no reason other than his own delusions. When Harry was born, Sirius was named the godfather, and Peter took this crushing blow to heart, seeking out his old friends in Diagon Alley. Voldemort had power, they said. Voldemort would welcome him into the fold, they said - make him wanted. Make him important. They would fear his name in the coming years, they told Peter, and everyone loyal to the Dark Lord would be rewarded. The threads of loyalty in the boy's heart weren't completely cut, though. He still hoped to patch things up with his old friends one day. And that's when the harsh task of becoming the Secret Keeper for the Potters was thrust on him. The Potters defied Voldemort. Hated him. Worked against him at every turn. They needed to hide, and while the reasoning behind making Peter the Secret-Keeper was sound on Sirius' part, Peter saw it only as being used. The job was too stressful. Too hard - much harder than being a godfather, so… give it to Peter! He won't complain! It was the last straw, and immediately following the performance of the Fidelius Charm, Peter slipped away and declared his undying loyalty to Lord Voldemort. Told the Dark Lord where James and Lily were hiding. As a result, the Potters were killed, their son went into hiding, and Peter found himself confronted by the very man that had put him into this position in the first place. It was the one and only time Peter felt /hate/ for someone. It was all because of Sirius that James and Lily were dead, that Peter had been /forced/ to make this decision to betray them. There was a reason Peter was put into Gryffindor house. When it really mattered, his misplaced bravery single-handedly absolved him in the eyes of the wizarding world, and framed one of his former best friends for murder. Evidently, Peter did learn something at Hogwarts during his seven years there… A curse that caused an explosion and killed several innocent bystandars easily made his last words stick - Sirius, how COULD you!? - and those were the words that were repeated by the eye witnesses at the scene… Those who managed to survive, anyway. With old Padfoot's guilt sealed, Peter vanished, and lived the next decade of his life as a rat. That worked away at him. Made him slightly mad. Gave him plenty of time to think about his life, and plenty of time to convince himself that what he'd done was right. He lived with a wizarding family as a pet - the Weasleys were kind to him, didn't ask questions despite his ordinary nature, and loved him. First, he was Percy's companion, and then Ron's, and while he had to, at times, endure their amatuer magic (and transfigurations - he HATED those) it was a good life. The intent was really to just spend the rest of his life like this, to die with no guilt and no worries. Unfortunately, Ron befriended James' son, and despite everything, 'Scabbers' felt friendship for the boy. It wasn't as easy to run away from his troubles as he'd hoped. There was a girl, too. Hermione - sweet child. It was almost as if he was with the Marauders again, for just a little while. When Sirius escaped, he stayed with the trio. Sure, he could have run away, but he couldn't bring himself to do it. When Hermione got that vile cat, Crookshanks, he stayed, even if the thing knew him for what he was and repeatedly attempted to kill him. It wasn't until he was forcefully revealed that those old feelings of resentment returned, but without the social skills to talk himself out of the situation, all he could do was grovel in terror as James' son save his life. Luck was on Peter's side that night. The moon was full, and Remus was with them. In the chaos following his capture, they'd forgotten all about the werewolf, and Peter was able to turn into a rat and escape, once more thanking Merlin for the fact that it was Sirius and James who'd urged him to become something so small and insignificant. Scared for his own life now, he sought out the remains of Lord Voldemort. If he could bring back the Dark Lord, surely everything would be right with the world again — and there were already whispers of his inevitable return. Peter would be so richly rewarded, that he could simply kill all his feelings and go back to living life in comfort as an animal. It would be a good way to retire. For now, though, there's work to be done to get to that point. A lot of work.